This year I have made a concerted effort to concentrate on Novel Project #4. It’s not the 4th novel I’ve started writing (lost count on that score), or the 4th one I will actually complete a finished draft of. It’s the 4th one I’ve put a serious and concerted effort into creating. Basically, a project gets a number when I feel like it’s a going concern. Otherwise it’s just fiddling around. Novel Project #4, however, is the first one that I have spent a serious amount of time planning, and some very serious time researching. By natural inclination, I’m an inveterate pantser, but (for me, anyway) an approach based solely on flying by the seat of my pants is not conducive to getting novels written in a professional time frame. For the last two months I have had a heavy focus on doing the actual writing part. This has been by turns intense, exhausting, exhilarating and frustrating, and it’s used up most of my word ju ju (yes, that is a Thing), which is why I’ve been so slack about blogging. I’ve done bits and pieces of writing throughout the year, but, seriously, I have spent most of this year doing planning and research. Project #4 uses a paranormal historical setting, which means, as I mentioned, the research burden for this story has been quite high. Naturally I’m using one of my favourite periods of history, so I’ve enjoyed this immensely. But this means there is an ever-present lurking danger of being sucked down into a Research Rabbit Hole. 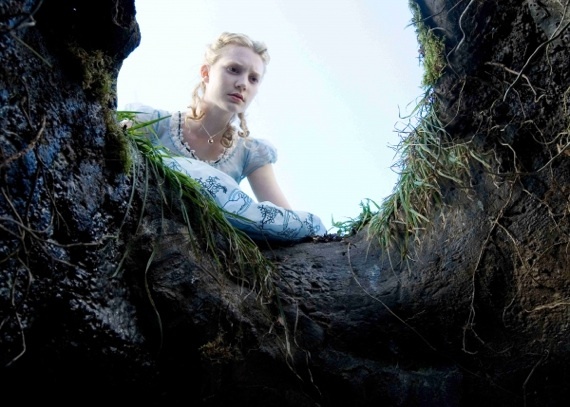 These Research Rabbit Holes can be fabulously inspirational, or horribly time wasting. They can take you in directions that are wildly irrelevant to your story, or can help you add layers of authenticity and meaning to your work. So I thought I’d share some of my favourite journeys down these Research Rabbit Holes with you. I’ve also asked some other writers about their experiences falling into these diabolical black holes of eternal fascination, and I’ll begin putting up a series of guest posts on these tomorrow. Recently, I was doing a little bit of research on a peripheral character. Primarily, I was just checking to see whether I could find out who was the Rector of St Paul’s Church Covent Garden in London in 1765, or whether I had to make someone up. I found him, one Reverend James Tattersall, and managed to glean a tiny bit of biographical information about him. But nothing substantial; nothing to suggest the kind of man he was. Then I discovered this snippet: a 1768 register of baptisms by Reverend Tattersall in St Paul’s Covent Garden. Right there on the 25th of March 1768, is an entry that indicates the Reverend Tattersall owned an 11 year old boy as a slave. Rabbit Hole 1: What kind of person owns a slave? Was it an issue of status for Tattersall and his wife? Was it an act of charity? Was it unusual for people in his position to own slaves? Were they nice to him? Where they horrible?Why baptise him then? Why wasn’t he already baptised? Rabbit Hole 2: Who was the poor kid? He was only 11! Where was his family? Were they alive? Were they even in the same country as he was by this time? Where was he from? Did he speak English? What was his life like after joining the Tattersall household? How long did he stay there? Did he learn a trade? Did he marry? Did he ever live as a free man? Rabbit Hole 3: Interestingly, this was around about the time the conversation about the ethics of slave-ownership got started in the UK. In 1765 the grandfather of abolition in the UK, Granville Sharp, met Jonathan Strong, an escaped slave (for “escaped” read: beaten so badly by his master he was abandoned in the street as useless) and, with his brother, a doctor, helped him get the treatment he needed to recover. In 1767, Sharp provided further legal assistance to Strong, when Strong’s former master attempted to kidnap Strong and sell him to another slave-owner. This, though, is a perfect example of just how far down the rabbit hole you can fall. And it’s also a perfect example of how, just from peeking through one tiny keyhole you can discover a wealth of material to help you build the world of your story.